Rabi said this while being interrogated by policemen in Hausa language. A correspondent obtained a video clip of the interrogation on Thursday. 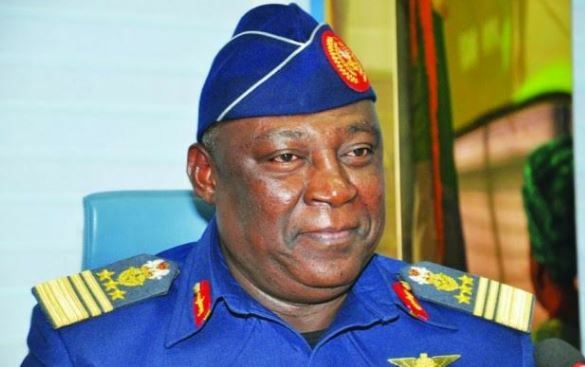 The Police had earlier on Thursday confirmed the arrest of five suspects in connection with the killing of Badeh in Nasarawa State on December 18, 2018. The force disclosed that two principal suspects and three others were apprehended for the heinous crime. When asked if the money was in naira or foreign currency, the suspect said it was in naira. He added that they were able to abduct Badeh’s friend who was in the car. The former CDS was killed in the evening of December 18, 2018 while returning from his farm between Koso and Kugwaru communities. The former CDS’ four military guards who provided security were said to have been a few kilometres away when the attack took place. The former CDS had forfeited money and choice properties to the Federal Government before his death. Police believe that Badeh decided to carry out transactions in cash because all his accounts had been frozen by the EFCC. The PUNCH had reported on Wednesday that the police had nabbed some suspected killers of the ex-CDS. The Police spokesman, Moshood Jimoh, disclosed in a statement in Abuja on Thursday, that efforts were ongoing to track down other accomplices. He explained that the investigation into the killing was being carried out by the Joint Police Investigation Team set up by the Inspector-General of Police, Ibrahim Idris. He said, “Two principal suspects who participated in the killing of the former Chief of Defence Staff and three other suspects have been arrested in connection with the heinous crime. They are now in police custody undergoing investigation. Jimoh stated that the suspects were not paraded so as not to jeopardize the ongoing investigation, adding that the force would not relent until all the perpetrators were brought to justice.